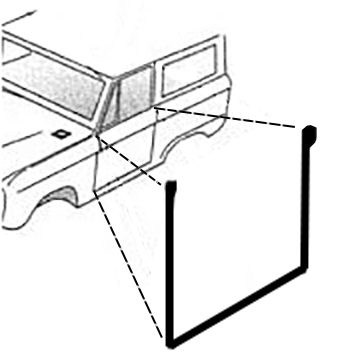 These are the BEST Quality Door Seals for your 66-77 Early Ford Bronco on the market. OE Quality, OE Fit. Don't settle for a cheap imitation. This is a set of 2 seals. Includes Lower Door Seals for Driver & Passenger Side. I?m very happy with the quality of both the product and service I can rely on from Tom?s. You guys run a tight ship and that?s important to me.